We have been busy getting art bags and the new Living Studio Toolbox Studios shipped and out the door. Everything single thing is out of the studio and on the way to you guys! Thank you! That was crazy and amazing. It has just made us so much more excited about what is coming in 2017. Tomorrow is the last day to order anything from our shop and then we are closing up shop until 2017! If you order within 24 hours we will get it shipped out immediately. Of course you can purchase our online courses at any time. 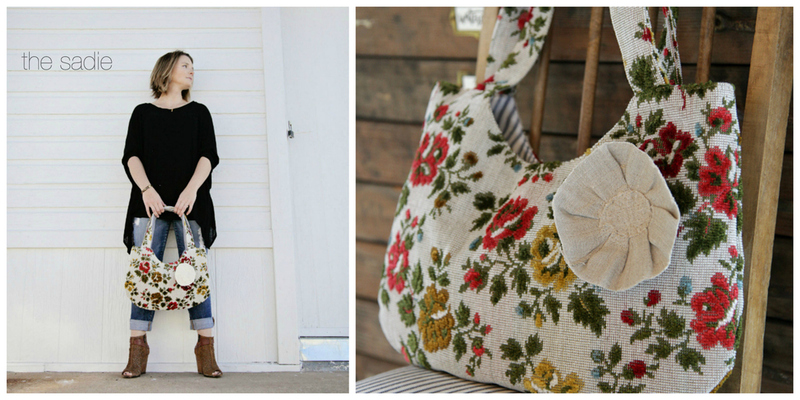 The Sadie is made from the MOST gorgeous vintage fabric. Only a handful left. 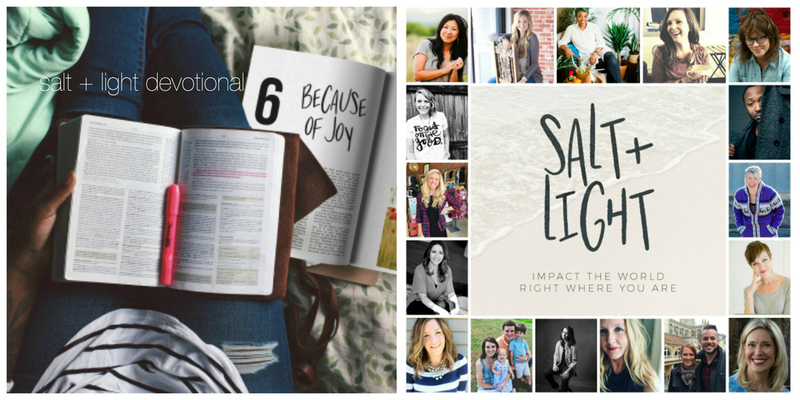 The Salt + Light Devotional is ready to order and it will be shipped to you before the FREE series begins on January 4th! 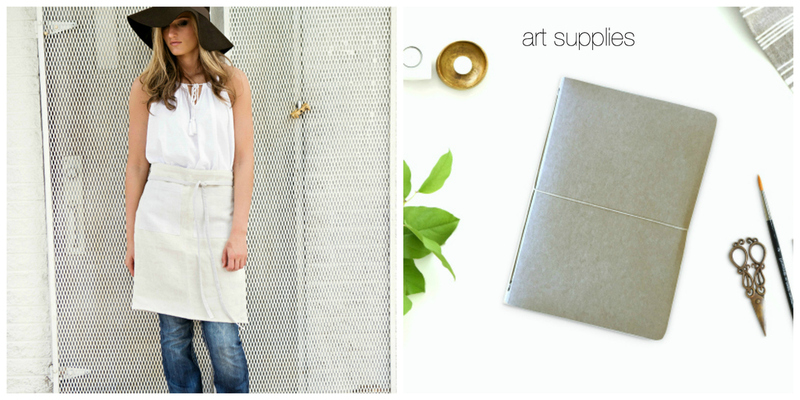 We have a few vintage French linen half aprons and our exclusive artisan made artist’s journals ready to ship. 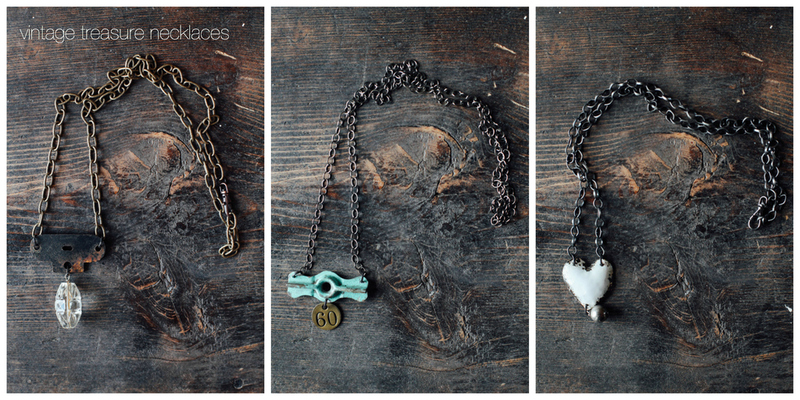 Each necklace is made from vintage treasures and is ready to ship! Start 2017 with Wild Awakening | Painting Big With Expressive Freedom. Jeanne Oliver is teaching this fun and expressive online course. The next course on our creative network in 2017 is Radiant Watercolor Portraits with Christie Drahnak! We will dive head first into portrait drawing, watercolor basics, and value studies. I will walk you through the process I use to create art that brings peace and joy to both artist and viewer.We will start at the beginners level and by the time class is over you will have the knowledge of an intermediate watercolor artist. We will complete a minimum of 3 gorgeous watercolor portraits together. I will share my favorite techniques and supplies. We will have a great time splashing watercolor around in addition to upping our drawing skills. Painting with watercolor feels like playing! I absolutely love watercolor and that is why I love to teach and spread the watercolor happy with everyone! Can’t wait to meet you! We are so honored to create along side you and to offer beautiful artisan handmade items in our shop! You make a difference in our family and all of those that create for our shop! We would love to wrap up something special for yourself or someone you love!